If you’re supporting someone with dementia and feel like you’re in uncharted territory, use these guidelines from our Sunrise elderly care experts. Have You Heard About These Alzheimer’s Breakthroughs? Learn more from the best home care company in Fort Lauderdale FL about these latest Alzheimer’s breakthroughs. Groundbreaking research is zeroing in ever nearer to the eradication of Alzheimer’s disease, this time around two medications already developed and approved by the FDA. This permits accelerated clinical trials and hopefully fast-tracking us nearer to a treatment. The first, surprisingly, is a medication utilized in treating HIV. Scientists are finding that the genetic blueprint in Alzheimer’s patients is altered as the disease advances, very similar to the genetic shuffling which occurs in those with HIV. The theory is that putting a halt to the movement of these certain genes may prevent the progression of the disease. Secondly, scientists at Mount Sinai have found that medications used to reduce blood sugar in diabetics, such as metformin, might have a direct effect in decreasing the plaques and tangles connected with Alzheimer’s disease. Although this may be helpful right away for diabetics with Alzheimer’s who are already taking this medication, further research is necessary before testing on Alzheimer’s patients without diabetes as a result of potential for dangerously low blood sugar as well as other negative effects. Encouragingly, the research results add another piece to the puzzle of dementia. These findings “…point us to the biological mechanisms that are being affected by those drugs. 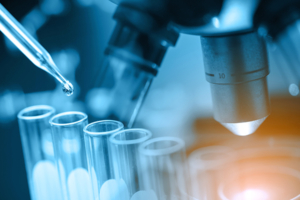 Hopefully, now we can find drugs that would have similar effects on the brain without changing the blood sugar levels,” said Vahram Haroutunian, professor of psychiatry and neuroscience of the Icahn School of Medicine at Mount Sinai. With as many as 6 million Americans currently diagnosed with Alzheimer’s disease, and a predicted leap to 14 million diagnoses in the next 40 years, it’s imperative for medical scientists to gain ground on more fully comprehending the cause, effective treatment options, and ultimately a cure, for this disease which has truly become an epidemic. The Alzheimer’s care experts at Responsive Home Care will continue to track these and other advances, while providing the top quality care that enhances general wellbeing while providing family members much-needed peace of mind. Our caregivers are fully trained and exceptionally skilled in helping manage some of the more difficult aspects of Alzheimer’s disease, such as wandering, aggression, sundowning, inappropriate behaviors, and many more. And our objective is always to be certain seniors with dementia have the ability to live life to its fullest potential, while remaining secure and comfortable at home. Give us a call at 954-486-6440 to learn more or to request resources that will help you and your senior loved one navigate the experience of Alzheimer’s disease. https://www.responsive-homecare.com/wp-content/uploads/2019/01/microscope-viles-testing.jpg 400 600 Debbie Savage, RN, BSN, President https://www.responsive-homecare.com/wp-content/uploads/2019/03/rhc-logo.png Debbie Savage, RN, BSN, President2019-01-20 10:07:432019-03-20 09:34:15Have You Heard About These Alzheimer’s Breakthroughs? 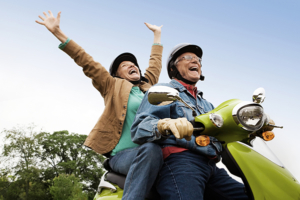 Put a positive spin on aging with these tips from the experts in senior care, Fort Lauderdale, Florida. A quick Google search for the term “aging” returns topics such as “coping with aging,” “what you can do about aging,” and even “the cure to aging.” The negative connotations to aging are, regrettably, so embedded within our culture that it is forecasted that by 2021, we’ll be spending over $300 billion in anti-aging products. A recent report by Stony Brook University revealed that senior loved ones are more content overall, with reportedly declining feelings of anger and anxiety in old age. Socialization and conflict resolution skills are superior in later years, reported by research performed by the University of Michigan. In a game aimed to induce and examine regret, seniors outshined their younger counterparts with their ability to manage emotions. And according to Cornell sociologist Karl Pillemer who surveyed 1,200 elderly people, the consensus was that the past 5 or 10 years were indeed the happiest of their lives. “Many people said something along these lines: ‘I wish I’d learned to enjoy life on a daily basis and enjoy the moment when I was in my 30s instead of my 60s,’” Pillemer shares. Not only that, but retired adults are able to explore and realize hobbies and talents without having the time demands of younger, employed adults, which can lead to a renewed zest for life, new social ties, and enhanced bonds with existing friends and family. Responsive Home Care helps highlight the advantages of the aging process in many ways. Instead of simply coming in and executing tasks that a senior loved one can no longer complete, we identify the person’s particular skills, empowering her or him to follow new pursuits with the encouragement of a friendly caregiver. Whether it’s learning a new skill or language, taking a vacation to a long-desired destination, committing to get physically healthier, or whatever a senior’s goal, we are available to give motivation, transportation and accompaniment, and a number of other services to help your loved one thrive and live life to the fullest. Help your senior loved one identify and accomplish brand new dreams! Contact the home care experts at Responsive Home Care by calling 954-486-6440 and requesting an in-home assessment to find out more. What Kinds of Add-ons Can Be Helpful for Your Loved One’s Lifting Chair? Lifting chairs themselves are incredibly useful for your senior loved one as they are, but there are add-on accessories that can make the chair even more useful. Determining the right accessories for your loved one can often mean simply assessing her needs. If your senior loved one has joint pain, arthritis, or other issues, heat and massage can help her quite a bit. Having a chair that has these functions built into it allows your loved one to use those features whenever she needs them. The best options are massage and heat functions that offer several different settings so that your loved one can truly customize the experience. Trays that fold or slide out of place can help your loved one to engage in all sorts of activities from her chair. Smaller trays are perfect for holding a book or a set of cards while larger trays can allow your loved one to eat meals in the comfort of her lifting chair. When you’re looking for this kind of addition, make sure that the tray slides easily without much effort from your loved one and that it has a way to lock into place. Many lifting chairs offer storage compartments in the arms or in the sides of the chair. These are perfect for holding the chair’s control, the remote controls for her electronics, and any other items that she likes to keep close to her. Double check that the compartments are easy for your loved one to access while she’s seated in the chair. Traditional recliners often use either a lever on the side of the chair or a pressure system to raise and to lower the footrest. If your senior loved one is interested in a recliner option with her lifting chair, it’s a good idea to find one that has a motorized foot rest. This is especially helpful for senior loved ones who don’t have the strength to move the foot rest otherwise. Let your loved one’s senior care providers and other family members know where to find the instructions for the chair in case she runs into trouble and needs extra help. If you or an aging loved one are considering Senior Care Services in Pompano Beach FL to provide companionship, compassion and motivation, please contact the caring staff at Responsive Home Care. Call today 954-486-6440.
https://www.responsive-homecare.com/wp-content/uploads/2017/02/bigstock-Woman-Sitting-In-Living-Room-4133199.jpg 200 300 Debbie Savage, RN, BSN, President https://www.responsive-homecare.com/wp-content/uploads/2019/03/rhc-logo.png Debbie Savage, RN, BSN, President2017-02-14 16:00:042019-03-20 09:59:01What Kinds of Add-ons Can Be Helpful for Your Loved One's Lifting Chair? 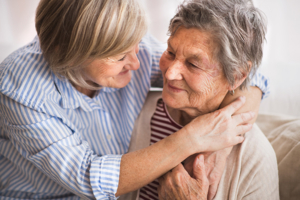 When you find out that your elderly parent is suffering from Parkinson’s disease you are put at the beginning of a journey that will present a wide variety of challenges and demands for your aging parent and for you as their family caregiver. This is a progressive disease, which means that the symptoms that your senior loved one faces will change, increase, and intensify over time. Though your parent’s medical team can give you an idea as to how your parent’s condition will progress and what you might expect moving forward, there is no real way of knowing everything that they will face or the true path that their disease will take. This makes it essential that you do as much as you can to prepare for the journey early so that both of you are prepared for what will come. Making care decisions early in your parent’s experience is about taking advantage of their awareness and cognitive functioning at the beginning of the disease and using it to ensure that they make the plans and preparations that are right for them. It is important to be aware that changes in cognitive functioning, memory loss, and even dementia are potential symptoms of Parkinson’s disease. This means that they are able to evaluate the progression of the disease ahead of them, express their thoughts, beliefs, and wishes, and make plans that will give them confidence that they will get the care that they need and give you peace of mind that you will be able to make the decisions that are right for your loved one when the time comes. It can be extremely challenging and emotionally difficult thinking of these issues and discussing them with your parent, but it is vital that you confront them and handle these conversations courageously, honestly, and thoroughly. Consider sitting down with their doctor as well as a therapist if your parent is having difficulty coming to terms with these issues or does not feel that they have enough information to make the decisions that are truly right for them. This can give both of you more confidence and help you to feel more prepared as you continue on in this new chapter. If you or an aging loved one are considering Home Care Services in Coral Springs FL to provide companionship, compassion and motivation, please contact the caring staff at Responsive Home Care. Call today 954-486-6440. Spending time outside of the house with an elder who has dementia can be both frustrating and challenging. If they are in the later stages of the disease, you may have to worry about the elder wandering or displaying abnormal behaviors. While it can be terrifying and possibly embarrassing to even consider going out in public with your loved one, it is something you and the elder should do from time to time. With these tips from other caregivers, you will be able to take the stress out of public outings with your elderly parent who has dementia. Be prepared. Whether you are going to be away from the home for a few minutes or a few hours, prepare a tote bag of all of the items that may be needed during the adventure. You may want to include a few pairs of under garments, sunscreen, books or magazines, wipes, and anything else the elder or you may need during the outing. Do not forget the snacks or water. Dehydration can occur at any time of the year, including winter. Bring plenty of water for your loved one to sip throughout the day to prevent it from happening to them. Also, pack healthy snacks that both you and your loved one can nibble on when starvation strikes. Know what their poor behavior means. Older adults with dementia are not always able to communicate what they want or need. They may try to get their point across by exhibiting poor behavior. It is nearly impossible to control their behavior, but there are ways you can try to diffuse the situation. Run through a checklist in your head of things they could be trying to communicate. This includes hunger, thirst, fatigue, or pain. You may want to consider attending a dementia support group or taking a class to learn more about what the senior’s behavior could mean. Brainstorm different explanations. If your loved one begins to act out in public, you will need to know what to say to strangers to explain the behavior. While there may be some people that will not be pleased with your explanation, others will understand your situation much better once you tell them about it. Staying cooped up in the house all day is not healthy for anyone, including caregivers and seniors with dementia. You may be terrified to take your loved one out, but these tips should make the journey a little bit easier. If you or an aging loved one are considering Caregiver Services in Plantation FL to provide companionship, compassion and motivation, please contact the caring staff at Responsive Home Care. Call today 954-486-6440. One minute your aging parent could be reading a book or watching TV, and the next they could be clenching their chest as a major heart attack takes over their body. This is usually how heart attacks work. Without any noticeable symptoms, it is very difficult to detect when one is about to hit. While obesity, high cholesterol, smoking, and stress could cause a heart attack, they are not the only triggers. Here are a few possible triggers to watch for when it comes to your elderly loved one. Asthma. People who have persistent asthma that requires an inhaler or other medication or 60 percent more likely to have a heart attack than those who do not have asthma. Adults who were diagnosed with asthma later in life have an even bigger chance of getting a heart attack. Migraines with aura. Migraines with aura are severe headaches that are usually partnered up with visual symptoms, like flashing lights or blind spots. This form of headache is actually the second-strongest heart attack or stroke trigger. Not getting the flu vaccine. Not only can the flu vaccine keep your loved one healthy, but it can also decrease and elder’s chances of getting a heart attack by about 50 percent. Getting an annual flu shot can protect stained both the flu and heart attacks. Having a weak grip. When giving a handshake does the elder have a weak grip? If they do, then they could be at risk for a heart attack. Easily angered. Another possible trigger is anger. If they have a short temper, they are at a higher risk for a heart disease. Traumatic experiences. No matter how small or large the elder’s traumatic experience was, it is enough to put stress on their heart. A study by the American Heart Association discovered that people who lost a loved one or suffered from another upsetting experience have a. 70 percent higher chance of developing a heart attack. Eating too late. Eating a late dinner is another trigger to developing a heart attack. Those who eat within two hours of going to bed are three times more likely to develop high blood pressure overnight. 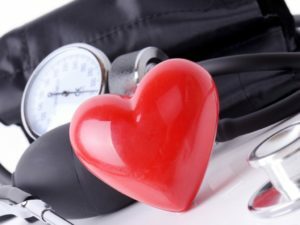 This type of blood pressure, which is known as “non-dipper hypertension,” includes the risk of cardiovascular problems, which includes heart attacks. Frequent use of common pain relievers. Common pain relievers, like ibuprofen and Tylenol, can cause an increase in heart problems. If your loved one lives alone, you may want to consider hiring an elder care provider to take care of them. 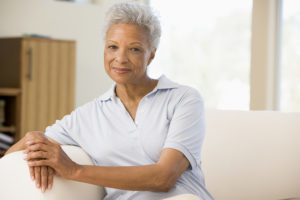 This professional caregiver can help the elder with tasks around the home, as well as reminding them to take their medication and driving them to and from doctor appointments. An elder care provider can monitor your loved one’s health to ensure they are safe and healthy. If you or an aging loved one are considering Elder Care Services in Pembroke Pines FL to provide companionship, compassion and motivation, please contact the caring staff at Responsive Home Care. Call today 954-486-6440. November 24 is Thanksgiving Day, which might make it appropriate that November 25 is Flossing Day. 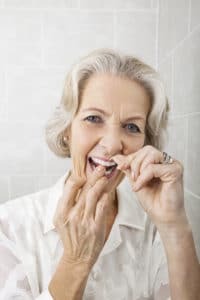 Using a proper flossing technique is essential to maintaining oral health, which can make a tremendous impact on your senior parent’s overall health and well-being throughout their later years. While brushing their teeth twice a day removes food particles, plaque, and other contaminants from the surface of the teeth and tongue, flossing takes this one step further to remove these contaminants from between the teeth and the gum line. These can cause bacteria to flourish in the mouth, hastening tooth decay, tissue infection, and other issues that can then spread through the body, increasing the risk for problems such as heart disease, liver problems, digestive problems, infections, and even some cancers. To get the most benefit from their flossing it is important that your parent understands and uses the right technique. This will help to make their efforts effective while also protecting them from potential injury. • Choose the right tool. There is not just one type of supply that you can choose for flossing. Work with your parent to find the tool that is right for your senior, whether it is conventional string floss, handheld flossers, or a water flosser. If you are not sure which might be best for them, discuss your loved one’s specific needs with their dentist so that they can give you recommendations. • Do not push too hard. One of the biggest causes of hesitation for flossing is the fear of pain. Encourage your loved one to be careful when flossing and not push too hard or too deep. If your parent complains of pain or bleeds when flossing, it could be an indication of gum disease or other dental problems. It is important to get this checked out by their dentist as soon as possible. If your senior loved one is suffering from dental health problems or you think that they could benefit from additional support and assistance in caring for their mouth, now may be the ideal time for you to consider senior care for them. A senior home care services provider can be with your aging parent on a customized schedule that is right for your senior as well as the care efforts that you put forth for them. This means that you remain at the forefront of your loved one’s care, but that even when you are not able to be with them, you can still feel confident knowing that they are getting everything that they need to stay healthy, safe, and comfortable as they age in place. When it comes to fulfilling their dental care needs, this care provider can remind your parent of the tasks that they need to fulfill, guide them through a safe and effective technique, or even demonstrate proper technique for them so that a senior who is suffering from cognitive limitations or challenges can mimic them to get their care done properly. If you or an aging loved one are considering Senior Care Services in Coral Springs FL to provide companionship, compassion and motivation, please contact the caring staff at Responsive Home Care. Call today 954-486-6440. Does Your Parent Need to Downsize Their Belongings? The objects that you have in your home are a representation of the life that you have lived. This absolutely applies to your aging parent, who likely has objects that they have owned for decades. This does not mean, however, that they should hold on to everything that they have. Downsizing is an important task for elderly adults who are either transitioning into a new home or who have accumulated too many belongings over time and need to start clearing them out. This goes beyond just older people holding onto items. According to a study performed by the University of Kansas, approximately 30 percent of adults over the age of 70 throughout the United States exhibit hoarding behaviors in that they had not given away any items in the previous year. Nearly 60 percent of seniors between the ages of 50 and 59, and more than 60 percent of those ages 70 to 79, however, admit that they have too many possessions. This illustrates the emotional challenge of hoarding, which happens when it is too difficult for them to let go of what they own. This could develop into a dangerous situation with excess clutter, holding onto potentially hazardous items, or filling the home with items os that it cannot be properly cleaned. • Having too many items to move into their new home comfortably or safely. If your aging parent is dealing with hoarding behaviors or is transitioning into a new home and you know that they need to downsize, starting home care services for them might be one of the best decisions that you can make. An in-home senior care services provider can be a tremendous source of support and encouragement for this elderly adult so that they can better cope with the changes that are coming during this time in their life. This can also be extremely helpful when you are going through the actual process of downsizing their belongings or moving. The in-home senior care services provider can be with your elderly loved one to keep them engaged, talk them through these difficult situations, and even plan activities and outings to keep them out of the way so that they can experience less stress and anxiety during this process. When it comes to recognizing if your elderly loved one might be coping with hoarding behaviors, this care provider can monitor how your parent interacts with objects and if they might seem reluctant or hesitant to let go of items so that they can alert you to any possible areas of concern. If you or an aging loved one are considering Home Care Services in Hollywood FL to provide companionship, compassion and motivation, please contact the caring staff at Responsive Home Care. Call today 954-486-6440.
https://www.responsive-homecare.com/wp-content/uploads/2016/11/bigstock-Happy-volunteer-family-separat-84980153.jpg 200 300 Debbie Savage, RN, BSN, President https://www.responsive-homecare.com/wp-content/uploads/2019/03/rhc-logo.png Debbie Savage, RN, BSN, President2016-11-01 14:49:552019-03-20 10:16:00Does Your Parent Need to Downsize Their Belongings? Communicating with senior adults has to be done in a much different manner than it is with any other age group. The reason for this is because of the physical, psychological, and emotional changes that occur as we age. Having an senior care aid has helped many seniors because this professional can work as a communicator between the elder and others. The more they work with the senior, the more they will know how to communicate with them. Whether your loved one has hearing loss, a cognitive impairment, or other disability that makes it difficult to communicate, these tips will make it much easier for you to communicate with them. Speak slower. When speaking at a slower pace, the senior will be able to absorb and comprehend the conversation or question being asked. Do not rush them. Older adults may take an extra minute comprehending what was being said to them and another minute to respond. Give them time to answer you. If they are taking a considerably long time responding, repeat the exact same question slower. Lean forward. When the senior is talking, lean forward. This will show that you are interested in what they have to say. Also, maintain eye contact as a way to show respect. Use the right tone. The pitch of your voice can make a huge difference in how well they are able to understand you. Keeping the tone of your voice low will make it much easier to understand you. Touch the senior. While speaking, it is perfectly acceptable to touch the senior on the arm or wrap your arms around them in a hug. This is an excellent way to show your love and appreciation for them. One of the biggest reasons for communication issues among the elderly is hearing loss. However, it may not be clear at first that this is the condition that is holding your loved one back from engaging in a conversation. Watch for these symptoms of a hearing impairment. They turn up the TV or radio at an extremely high volume. They find it difficult to hear the person on the other end of a phone call. They are unable to follow a conversation when 2 or more people are talking. The senior complains constantly that others mumble when talking. Background noise makes it difficult for the senior to listen. They find it challenging to hear women or children talking. If any of these symptoms are recognized, have your loved one talk to their doctor about it as soon as possible. If you or an aging loved one are considering Senior Care Services in Fort Lauderdale FL to provide companionship, compassion and motivation, please contact the caring staff at Responsive Home Health. Call today 954-486-6440.